This little dish was if memory serves me right was introduced by Wolfgang Puck at Spago, way back in the early 90’s. He was of course the guy who introduced smoked salmon on pizza! There are some horrible versions of this recipe and I think I have been served many of them. I can’t imagine anything as simple or versatile as these little beauties. Besides whipping a little heavy cream and mixing in a bit of horseradish they practically make themselves. 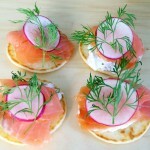 Feel free to change the type of fish, smoked haddock, trout just about any fatty smoked fish will do. Creamy and buttery making this recipe is very easy and requires little attention to detail or much time. It is one of my favorite soups. Garnishes for this soup can and should be rather simple, chopped chives or thinly sliced scallion. Maybe a spoonful of finely chopped egg and parsley. But being American why not crispy chopped bacon or small cubes of ham. 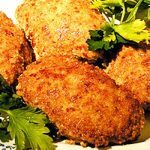 Another idea to make this more of a meal is to add small chicken or veal meatballs. I think this is a good old standard that usually pleases everyone. It is light, cool and soothing on a hot summers day. A bit old fashion I have to admit but that doesn’t stop me from making and enjoying it. This is an old classic that I haven’t found much improved on during my travels. 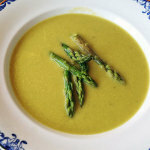 You can use the stalks of the asparagus and save the lovely green tips to decorate the soup. If you would like, this recipe can be made using white asparagus. This is a far cry from the horrible cheese pies you get here in almost every so called Cafe. 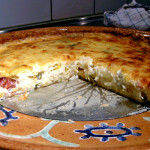 Rich and creamy with almost sweet leeks this is one of the best basic quiche recipes you can have. You will need to get my Pate Brisee recipe for the crust. 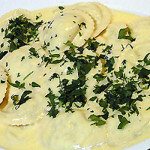 Here I have served this sauce with ricotta cheese filled Ravioli which makes the dish very rich. 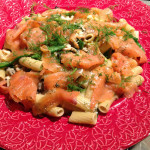 Gorgonzola Sauce is also great on Fettuccine or classically with Potato Gnocchi. Serves 4 as and appetizer or 2 as a main course. This makes a great desert for when you have company. The pears have a glorious color and looks really festive. It can be made the day before and refrigerated. 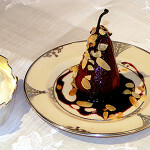 Serve each pear individually or place then all on a large serving dish, swimming in their syrup with sweetened whipped cream on the side. This is an all time French classic and is the perfect ending to a meal regardless of the season. 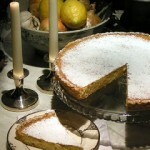 This recipe will produce a thick creamy filling that is very lemony and nicely tart.